The fourth mobile LTE radio generation is becoming more and more powerful, with LTE Advanced Pro and 4.5G, respectively, currently experiencing a new leap in speed. Some 4G smartphones and mobile hotspots already support LTE category 11 or higher, while LTE Cat6 with 300 MBit/s in LTE router models was the highest of the feelings. A few weeks ago, Huawei presents a new 4G LTE Router with Ethernet port and SIM card slot, the model number is Huawei B618, which supports LTE of category 11 with up to 600 MBit/s in the downlink and 50 MBit/s in the uplink. The Huawei B618 router visually resembles the design of the Huawei E5180 cube and can therefore be designated as its successor. The device is square and quite “high” built, on the front there are various LEDs as well as a WPS button. 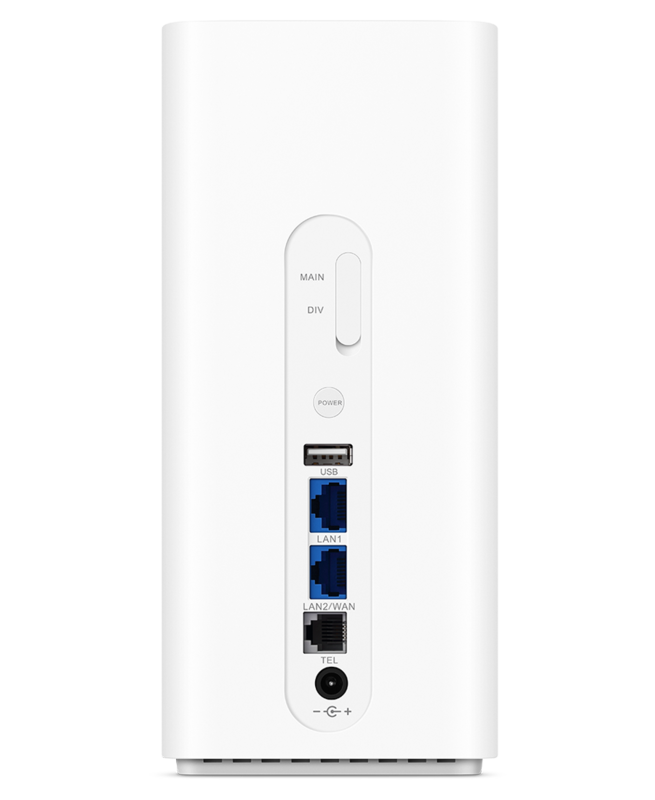 On the back there is a power button, two RJ-45 Gigabit LAN ports (one of which can also function as a WAN port), as well as a USB 2.0 port. There is also an RJ-11 connection for an analog telephone or fax machine as well as the connection for the external power supply. Under one cover are two connectors for an external antenna. There is no battery for mobile use. 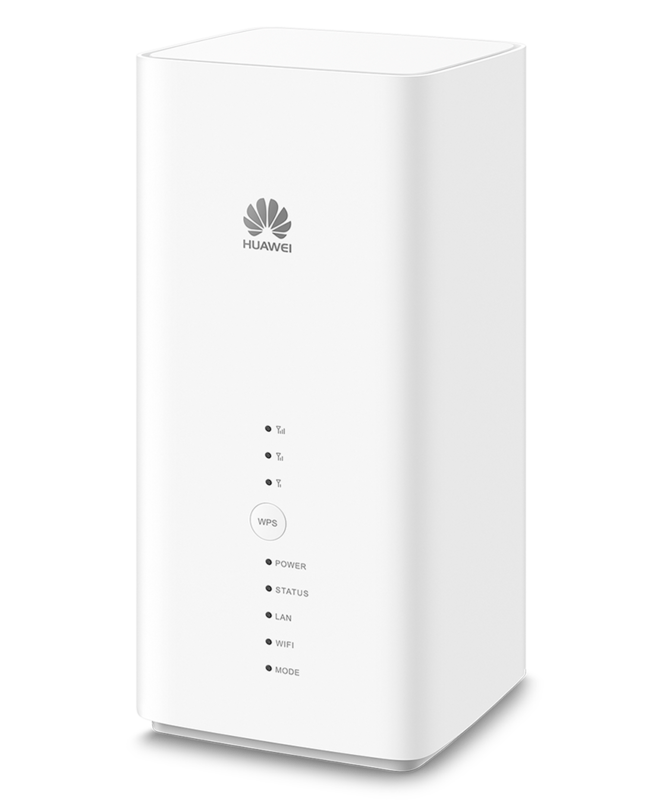 The modem in the Huawei B618 works with LTE Cat11 and achieves data rates of up to 600 MBit/s in the downlink as well as 50 MBit/s in the uplink. Which LTE Advanced Pro / 4.5G features are supported exactly is still unknown, but in any case, Triple Carrier Aggregation is on board. This allows the Huawei B618 to bundle three different frequency ranges with a maximum of 20 MHz each. To get to 600 MBit/s is enough but not the same, as the 256QAM modulation controls the modem in the downlink. Alternatively, the support for 4 × 4 MIMO would be conceivable whether the B618 can do this, but is currently not clearly identified. The WLAN module allows connection to up to 64 devices at the same time in the 2.4 GHz and the 5 GHz band. The maximum data rate is 867 Mbps (802.11 ac), the WLAN antennas are fixed in the Huawei B618 and cannot be exchanged. Until now, the Huawei B618 only appears in Poland at Play (February 2017), where it is marketed in conjunction with the “4G LTE ULTRA” offer. As mobile radio networks continue to grow, however, it is likely that the Huawei B618 LTE router will also find their way to other countries and to other providers, which is often the case with Huawei LTE router models, however, user should pay close attention to the supported features and frequency bands, as Huawei can often optimize the routers for the respective provider and remove individual functions such as the telephone function. 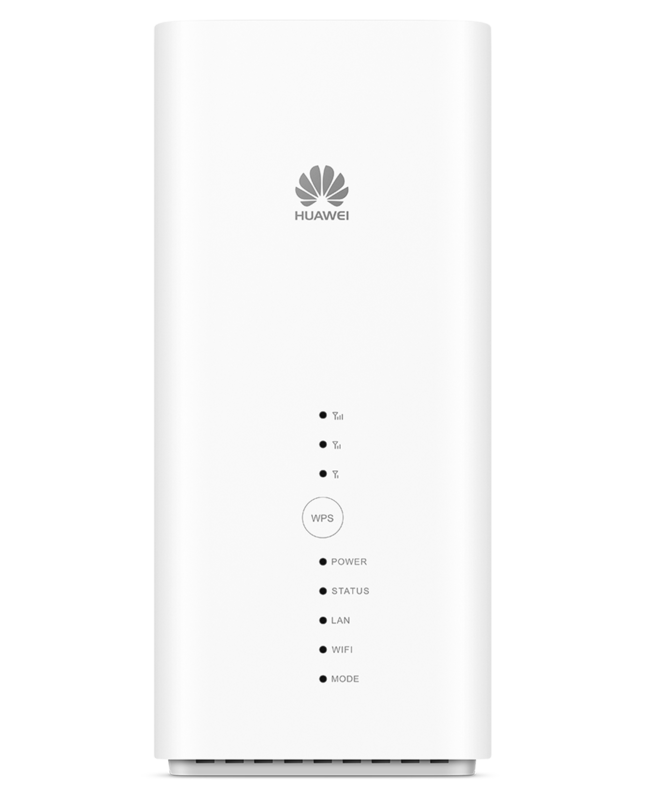 The B618 router available model number Huawei B618s-22d in Poland at Play seems to be unbranded and it may be suitable for the other market in Europe as it supports all important LTE band 1, 3, 7, 8, 20.